ORANGE COUNTY, New York (WABC) -- Dozens of people have been charged in a welfare fraud bust in New York's Hudson Valley. 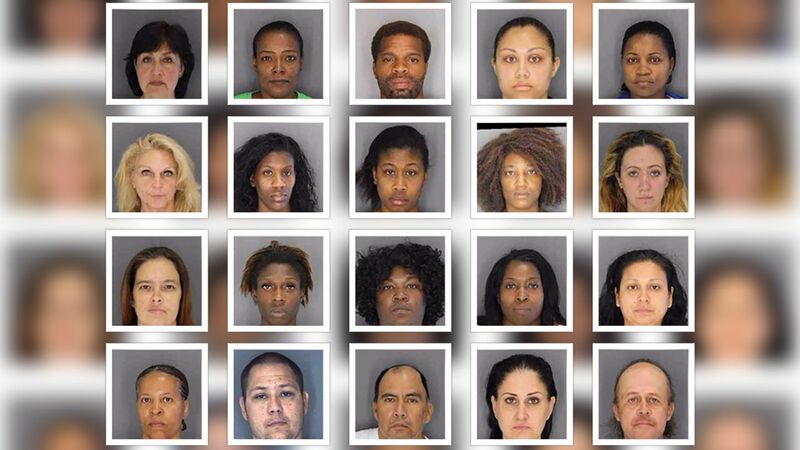 The Orange County District Attorney's Office announced the arrests of 24 people Wednesday. The estimated fraud from public assistance among these defendants is $242,000. Investigators reviewed files of benefit recipients suspected of fraud, interviewed the recipients and sent the cases over to the DA's office for review. The fraud charges stem from alleged misuse of the recipients' SNAP, Medicaid and other public assistance programs. Click through the slideshow above to see the names and charges each defendant is facing in this crackdown.